Shark Rocket HV303 Ultra-Light Upright "Review & Buyer's Guide"
Are you looking for a vacuum cleaner which is lightweight and feels a breeze on your hands? If yes, Shark Rocket HV303 is made for you. You can choose from four different models – Deluxe Pro Ultra-light, Professional, TruePet, and Ultra Light) with different accessories. 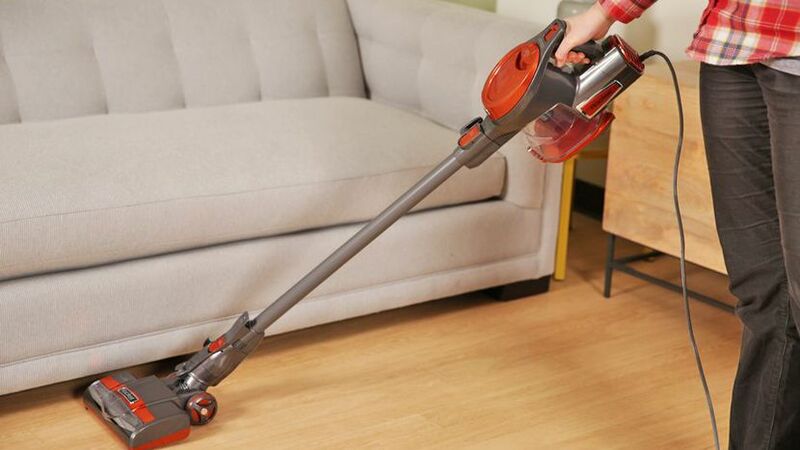 The Shark Rocket HV303 vacuum works blazing fast on both carpet and hardwood, even on shag rugs, according to both manufacturers and user reviews. It is a corded vacuum cleaner, If you want to buy a cordless vacuum cleaner then we have more choices for you. 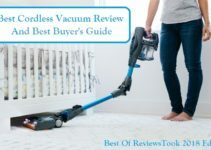 We already shared top #13 best cordless vacuum cleaner article you can visit there and I am damn sure you will get well-featured vacuum cleaners. Electric brooms are getting more and more popular these days especially because they are lightweight and durable, and Shark Rocket has no exception, literally. The Shark Rocket HV303 weighs just below 8 pounds. Hence, it is easy to carry and it can clean up all the mess and spills in the home. It would not be wrong to say that you can easily go upstairs with this stick broom. It is designed to last despite being lightweight. In addition, it is backed by the limited warranty from Shark. When it comes to buying an electric broom, convenience and ease of use are the best features you always expect of them. This is the reason Shark Rocket HV303 always stands out from the rest. 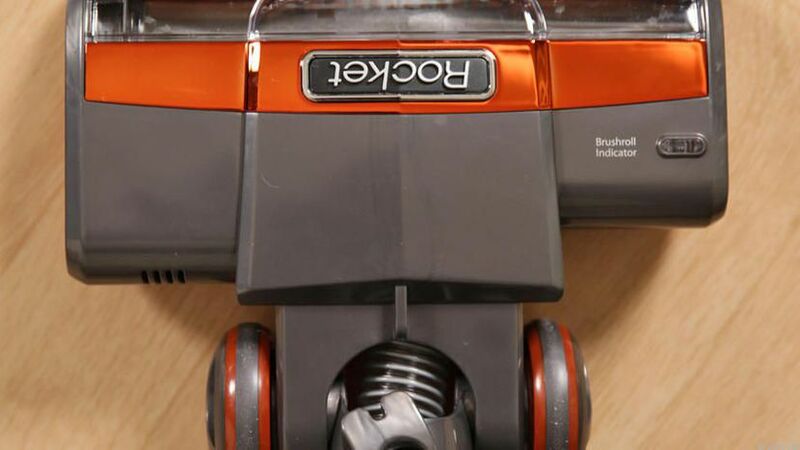 This electric broom has got fingertip controls so you can easily switch between carpet and hard flooring. So, there is no need to stop cleaning to replace the vacuum head. It has got the 30-foot power cord. So, there is no need to worry when you have to move from different floor surfaces. You can easily clean up large rooms with it. You also don’t need to stop sweeping to find another outlet. You can combine all this to get the most of it clean up faster. 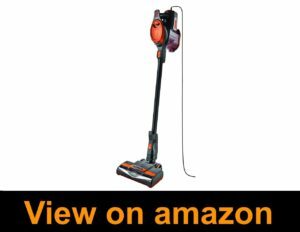 This electric broom has literally got a great value for money. The Shark Rocket HV303 is very versatile and innovative model with ‘dust away’ attachment. And it is integrated microfiber pad which collects dirt effectively from the hard floors without even leaving any marks or scratches. When it comes to clean up carpet, you just have to touch a switch. It also has two storage options for added versatility and convenience. Secure it to wall mount so you can easily access it or just attach it to the end of the wand. You can easily clean up hard to reach areas. Shark Rocket HV303 weighs just 8 pounds. So, it goes without a DOUBT that it is easy to carry and convenient. 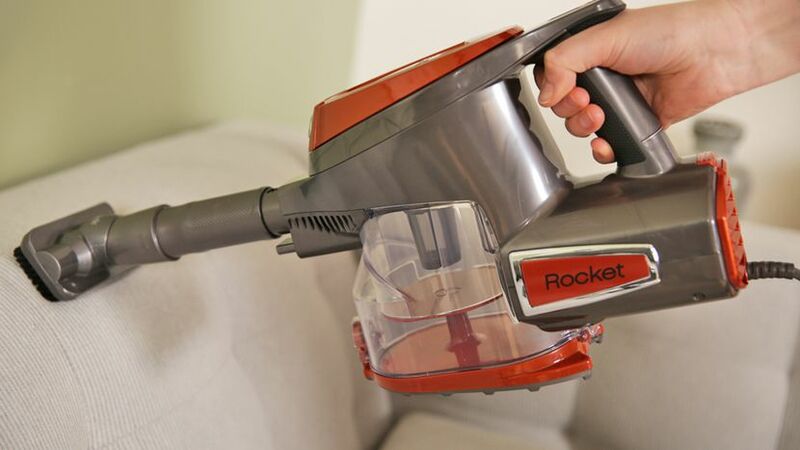 Rocket Shark extends beyond its capacity as it is versatile enough to turn into a handheld vacuum cleaner. You can easily remove dirt with it from carpeted and hardwood floors. There are two different storage options to choose from. 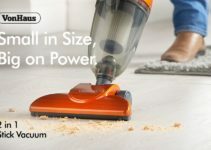 So, you won’t lose track of this electric vac. The reviews are generally positive about this vac, especially when it comes to its overall performance. According to some consumers, it is not that simple to remove the dirt cap. It seems both inconvenient and messy. It is generally because of manual error. It will resolve the issue if you completely press the release button. So, folks, I hope you liked this article about the Shark Rocket HV303 and trust me guys this vacuum cleaner will be very helpful to you to clean your office and home. I am personally using this device for my home and my wife is very happy because it is very comfortable and convenient to use. 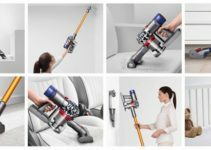 If you are not comfortable with this product then don’t worry we also shared the best collection of best cordless vacuum cleaners.